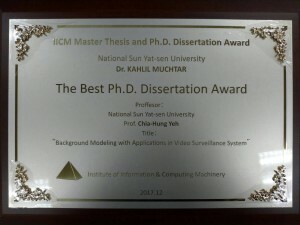 Kahlil Muchtar, ST., M. Eng, Ph. D.
Xi’an, China, October 18-21, 2011. C. Yeh, C. Lin, Kahlil Muchtar, L. Kang, “Color invariant background modeling for moving objects detection”, IPPR Computer Vision, Graphics, and Image Processing Conference, CVGIP 2012, Nantou, Taiwan, August 2012. 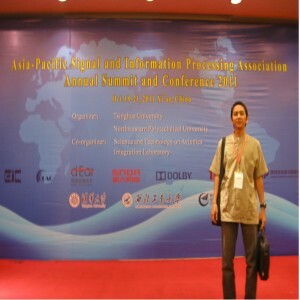 -During poster session, 2nd day of MMSP’2014 Jakarta, Indonesia. Kahlil Muchtar, Chia-Hung Yeh, Cheng Wei Lee, Wen Hung Xu, Po-Yi Sung, “Heartbeat Measurement Based on Laser Speckle Fingerprint”, The 2014 International Computer Symposium (ICS 2014). Tunghai University, Taiwan, December 2014. 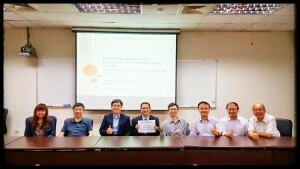 Kahlil Muchtar, C. Yeh, C. Lin, “Specific-purpose Object Detection with Energy-based Model”, IPPR Computer Vision, Graphics, and Image Processing Conference, CVGIP 2015, Yilan, Taiwan, August 2015. Chia-Hung Yeh, Kahlil Muchtar, Chih-Yang Lin, “3D-based Unattended Object Detection Method for Video Surveillance”, WS4 2017, London, U.K., February 2017. 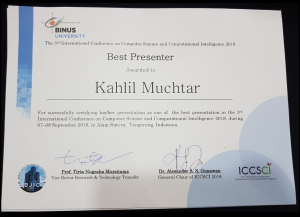 Kahlil Muchtar, Faris Rahman, Tjeng Wawan Cenggoro, Arif Budiarto, Bens Pardamean, “An Improved Version of Texture-based Foreground Segmentation: Block-based Adaptive Segmenter”, ICCSCI 2018, Jakarta, Indonesia, September 2018 (Best Presenter Award). 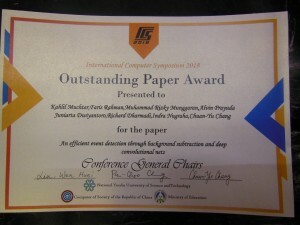 Kahlil Muchtar, Faris Rahman, Muhammad Rizky Munggaran, Alvin Prayuda Juniarta Dwiyantoro, Richard Dharmadi, Indra Nugraha, Chuan-Yu Chang, 2018, “An efficient event detection through background subtraction and deep convolutional nets”, ICS (International Computer Symposium) – 2018, Yunlin, Taiwan, 20-22 Desember, 2018 (Outstanding Paper Award). 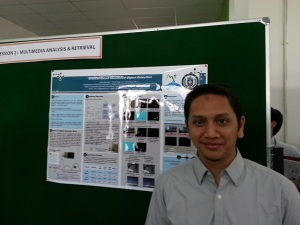 Kahlil Muchtar, Faris Rahman, Muhammad Rizky Munggaran, Alvin Prayuda Juniarta Dwiyantoro, Richard Dharmadi, Indra Nugraha, 2019, “A unified smart surveillance system incorporating adaptive foreground extraction and deep learning-based classification”, ICAIIC (International Conference on AI in information and communication) 2019, Okinawa, Japan, 11-13 Februari 2019. Chih-Yang Lin, Kahlil Muchtar, Chia-Hung Yeh, Chun-Shien Lu, “Secure Multicasting of Images via Joint Privacy-Preserving Fingerprinting, Decryption, and Authentication,” accepted (February 2016) and available online Feb 11, 2016 to Journal of Visual Communication and Image Representation. (EI, SCI) (SCImago Journal Rank (SJR): 0.749 , Impact Factor: 1.218). New! C.-Y. Lin, K. Muchtar, J.-Y. Lin, Y.-H. Sung, and C.-H. Yeh, “Moving Object Detection in the Encrypted Domain,” Multimedia Tools and Applications, no., 2016. (SCI) (Impact Factor: 1.346) New! Chih-Yang Lin, Kahlil Muchtar, Chia-Hung Yeh, “Robust Techniques for Abandoned and Removed Object Detection Based on Markov Random Field,” accepted (May 2016) to Journal of Visual Communication and Image Representation. (EI, SCI) (SCImago Journal Rank (SJR): 0.749 , Impact Factor: 1.218). New! C.-H. Yeh, C.-Y. Lin, K. Muchtar, H.-E. Lai, and M.-T. Sun, “Three-Pronged Compensation and Hysteresis Thresholding for Moving Object Detection in Real-Time Video Surveillance,” IEEE Trans. on Industrial Electronics, no., 2016. (EI, SCI) Ranking: 1.6%, IF: 6.38 New! C.-H. Yeh, C.-Y. Lin, and K. Muchtar, “RGB-D abandoned object detection based on GrabCut using Kinect,” Journal of Internet Technology, vol. 18, no.4, Jul. 2017. (SCI) Ranking: 86%, IF: 0.533 New! Chia-Hung Yeh, Chih-Yang Lin, Kahlil Muchtar, and Pin-Hsian Liu, “Rain streak removal based on non-negative matrix factorization,” accepted by Multimedia Tools and Applications, Nov. 2017. [SCIE 2016 IF=1.530, Ranking= 43.3%] New! Chia-Hung Yeh, Wen-Yu Tseng, Li-Wei Kang, Cheng-Wei Lee, Kahlil Muchtar, Mei-Juan Chen, “Coding unit complexity-based predictions of coding unit depth and prediction unit mode for efficient HEVC-to-SHVC transcoding with quality scalability”, accepted 8 June 2018, available online 26 June 2018 to Journal of Visual Communication and Image Representation. (EI, SCI) (SCImago Journal Rank (SJR): 0.503 , Impact Factor: 1.836). New! Yu-Hsien Sung, Kahlil Muchtar, Chia-Hung Yeh & Chia-Yen Chen, “Cloud-3D reconstruction based on a MIO-5250 embedded board,” in proceedings of The 20th Workshop on Compiler Techniques and System Software for High-Performance and Embedded Computing (CTHPC 2014), Hsinchu, Taiwan, 2014. Listed in Who’s Who in the World 2016 -33rd Edition (wikipedia). New! 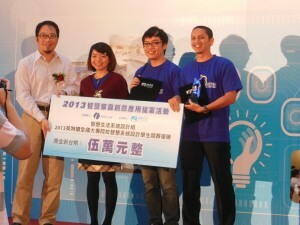 Ministry of Education (Taiwan), The 2013 Intelligent Electronics System Design Contest Award to Kahlil Muchtar, et al. 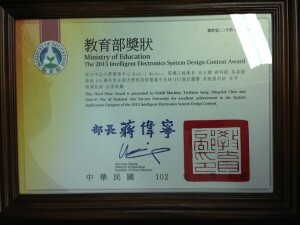 of National Sun Yat-Sen University for Excellent achievement in the System Application Category. [NSYSU-MMLAB]. Note of apps: our iOS-apps called SuperNova will capture the several images and send it to cloud, then cloud computing will handle Structure From Motion and yield 3D-ready model and send it back to iOS-based-device (iPhone and iPad), ready to open, lightweight-processing and real-time. 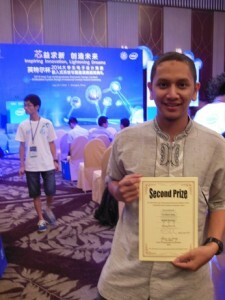 Second Prize, Winners of 2014 Intel Cup Embedded System Design Invitational Contest (Shanghai, China), MMLAB-SuperNova Team. 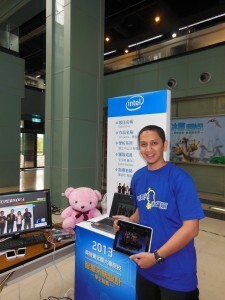 @Intel Asia-Pacific Research & Development Ltd, Shanghai. 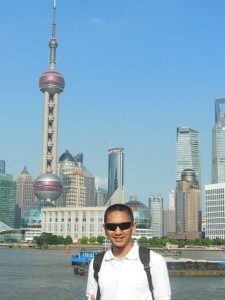 @The Bund, the must-go spot in Shanghai! 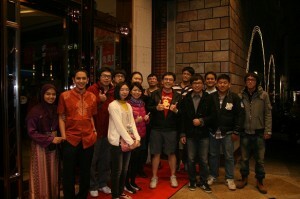 Travel Grants from Ministry of Science and Technology (MOST), Taiwan to IEEE International Workshop on Multimedia Signal Processing (MMSP’2014). 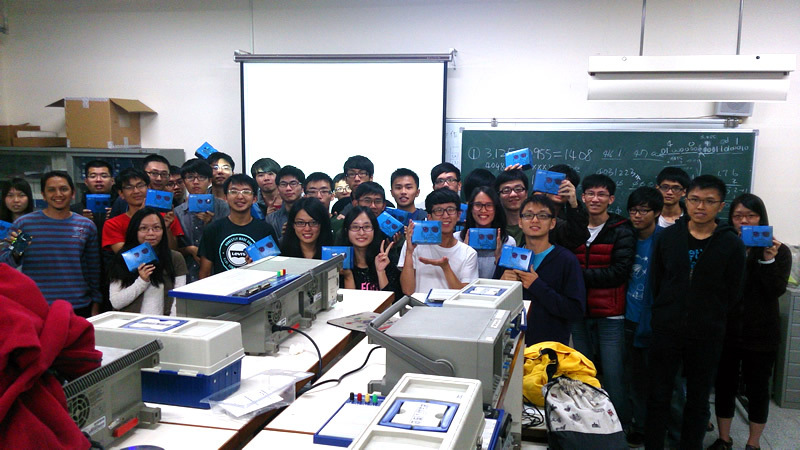 Guest tutor – Intro of Intel(R) Galileo Board for NSYSU’s undergraduate & graduate student (Fall’14). 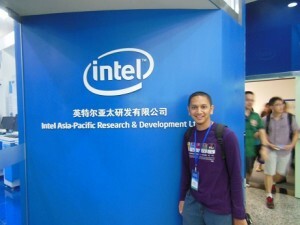 Thanks to “Intel(R) University Donation Program“. Last edited: January 30, 2019.